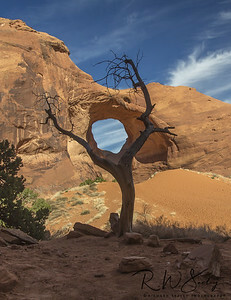 A spiritually sacred place to the Navajo Indians and an amazing place to photograph nature's unique landscapes. Hot Mitten - The glow from the sunrise is intense as the right mitten feels the heat. 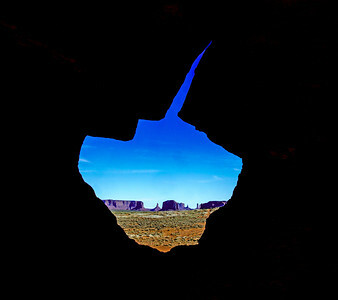 Through The Keyhole - View through the keyhole arch in Monument Valley, Utah. Guardian of the Valley - Ear of the Wind and the entire vally are protected by the Guardian. 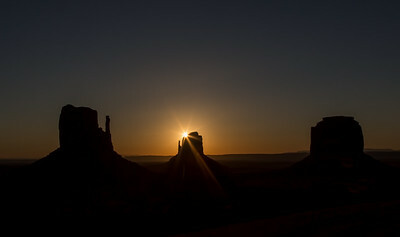 Sunrise on the Mittens - The sun rises and shines on the most famous and iconic monuments in Monument Valley - the West Mitten and the East Mitten. Also know as the Left Mitten and the Right Mitten. 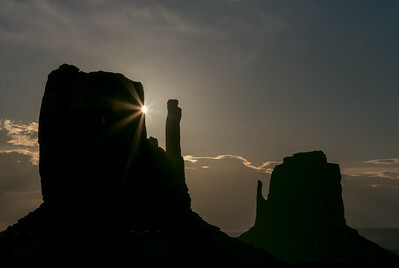 Monumental Sunrise - The sun rises behind the right mitten and creates a sunstar, Monument Valley. 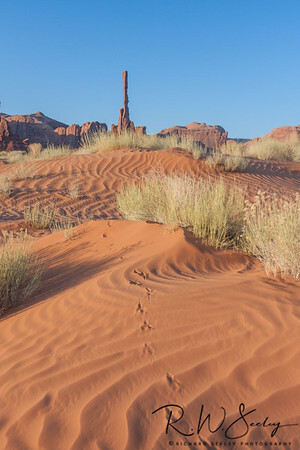 Totem Tracks - A roadrunner has left its tracks in the sand dunes leading up to the totem monument. 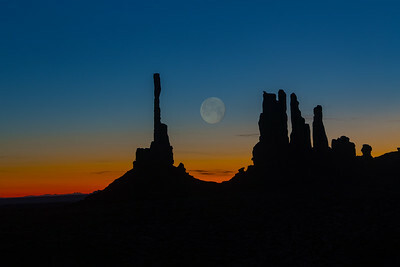 The Navajo Family - The Navajo family watches the setting of the moon and soon to be the rising of the sun in Monument Valley. 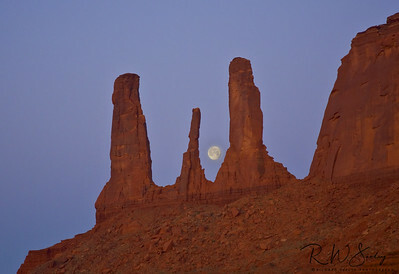 Totem Twilight - The totem monuments salute the moonset and the sunrise in Monument Valley, Utah. 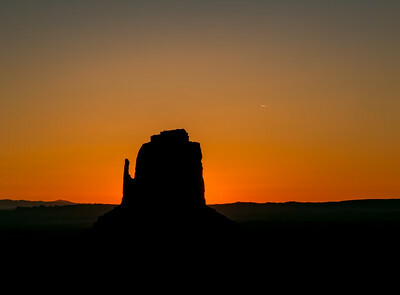 View From Hunts Mesa at Sunset.- View of Monument Valley from Hunts Mesa. 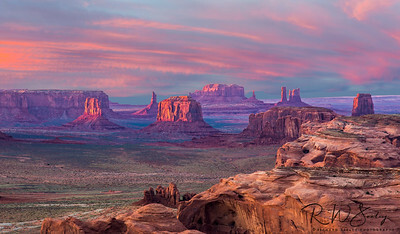 Hunts Mesa is a rock formation located in Monument Valley, south of the border between Utah and Arizona.